Regulating Branch HMS. Vengeance. Back row (l to r) RPO. Poole, RPO. ?, C/RPO. ?. Front RPO. Bond. Regulating Branch HMS. Vengeance at Manus, Admiralty Islands in August 1945. Back row (l to r) RPO. Bond, C/RPO. ?, RPO. Poole. Front RPO. ?. 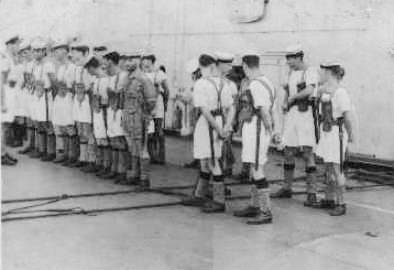 QARNNS aboard HMS. Vengeance en-route from Leyte to Hong Kong between 2nd & 5th September 1945. 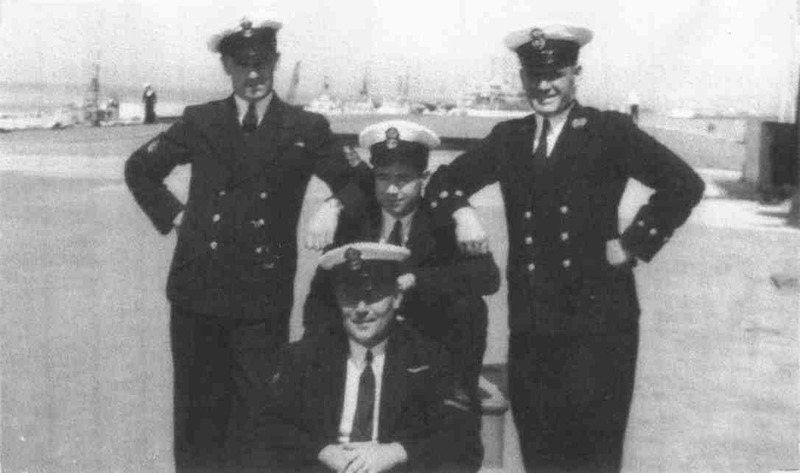 (Left to right) Sister Irvine (Tasmania), Sister Hippsley (Wells), Nurse Pardoe (Tenby, Worcs. ), Nurse McIntyre (Dunbartonshire), Nurse Walker (Surrey) and Sister Surtees (York). 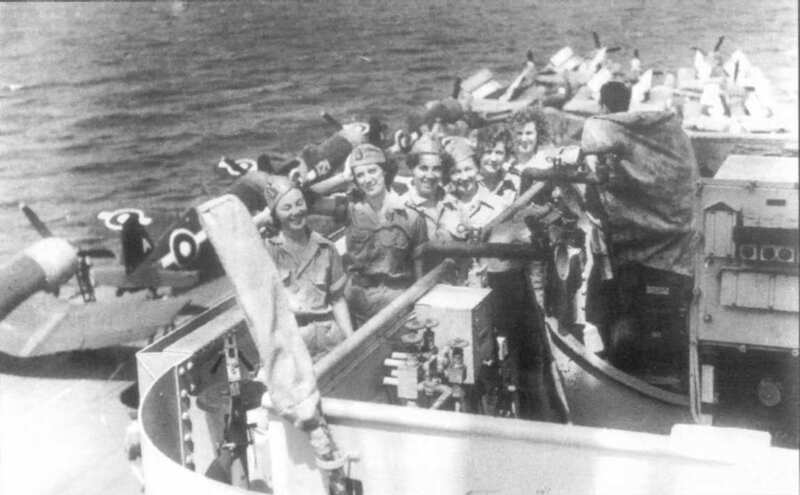 Boarding Party ready to disembark from HMS. 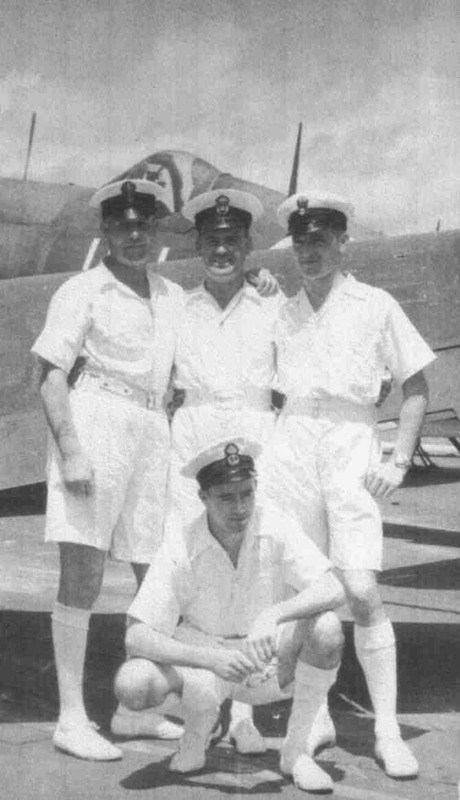 Vengeance at Hong Kong in September 1945. 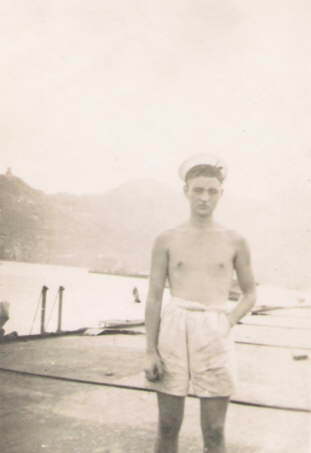 Radar Operator Louis 'Louie' Kay on the flight deck HMS. Vengeance, Hong Kong. 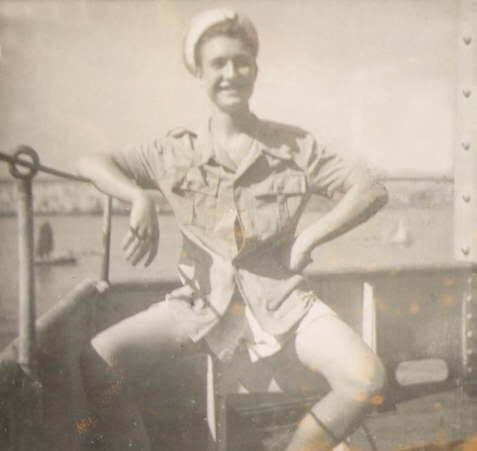 Radar Operator Louis 'Louie' Kay aboard HMS. Vengeance, Hong Kong. 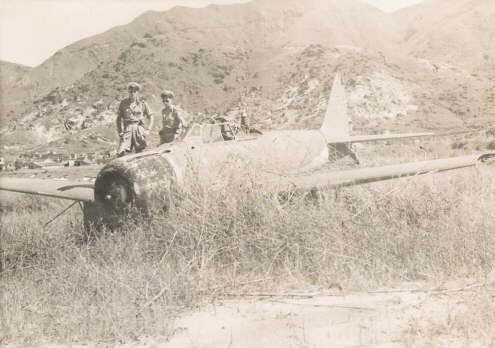 Abandoned Japanese Zero, Kai-Tak Airfield, Hong Kong, 1945.